I am interested in reconstructing the evolutionary relationships of certain groups of Hymenoptera (the insect order comprising the sawflies, wasps, ants, and bees). The Hymenoptera are a diverse group -- it's one of the most speciose orders of insects, so we are continually describing new species, finding new fossils, and uncovering new biological life histories. My research centers on the relationships and evolution of Aculeata (the stinging hymenopterans -- ants, bees and wasps); and also on the systematics and evolution of Eucharitidae, which is a family of parasitoid wasps. I do work with phylogenetic methods, molecular dating, diversification, historical biogeography, and comparative analyses. I have experience in using programs/packages such as: BAMM, BayesTraits, BioGeoBEARS, BUCKy, BEAST, Geneious, Jane cophylogeny, MEDUSA, Mesquite, MrBayes, PartitionFinder, PAUP, phyluce, R, RAxML, RogueNaRok, Sequencher, and TNT. Currently, as of August 2018, I am a postdoc at the Smithsonian National Museum of Natural History (Washington, DC) in the lab of Seán Brady [website], Department of Entomology. My research involves phylogenomics of Chrysidoidea. From January 2018 - July 2018 & from June 2016 - August 2017, I worked as a postdoc at Cornell University in the lab of Bryan Danforth [website], Department of Entomology. My research project involves the phylogenomics of aculeates. In the fall semester of 2017 (Aug-Dec), I was a lecturer at Cornell University for the course 'Insect diversity and evolution', in the Department of Entomology. You can check out the class web project: Insects of Cornell. October 2014 - May 2016. I was hired as a lecturer at Cornell to develop a course, Model-based phylogenetics and hypothesis testing, which I taught for two semesters. I emphasized practical knowledge of phylogenetic and comparative methods, with a foundation in theoretical aspects and the background needed to run a chosen analytical package successfully and correctly. From 2008 - 2014, I was earning my PhD at the University of California, Riverside, in the lab of John Heraty [website], Department of Entomology. 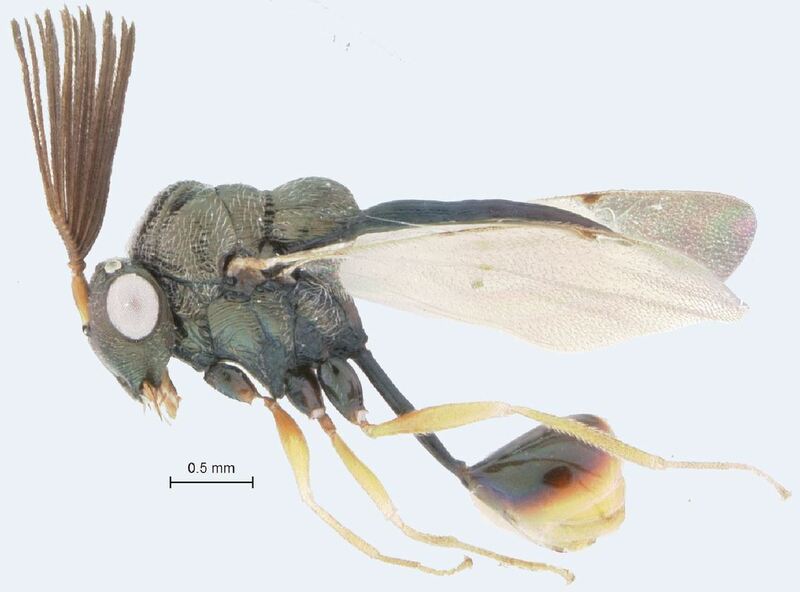 For my dissertation [pdf], I worked on the systematics and evolutionary history of Eucharitidae (Hymenoptera: Chalcidoidea), which is the only insect family composed solely of ant parasitoids. I focused on the genus Kapala, found mainly in the Neotropics. ​From 2004-2007, I was at Kansas State University. I got a master's degree in Entomology (with Ralph Charlton and Yoonseong Park) and after, worked as the Insect Diagnostician for the state of Kansas & as a tech in Jeremy Marshall's cricket lab. I studied phylogenetic relationships of tarantulas of the south-central US-- the Aphonopelma hentzi complex. It was at this point I first worked in a molecular lab and learned all about PCR and sequencing from Dr. Park. I was featured in an article in New Moon, a magazine for girls. The article covers entomology, systematics, & my favorite collecting trip -- traveling to Dominica. Also really cool is that the article was written by my sister, Laura K Murray!